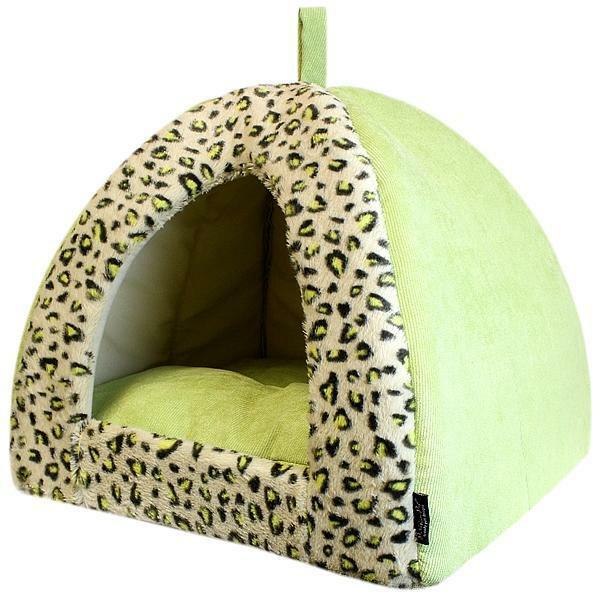 Designed with a wild and fun animal print as well as a light green color, this safari cove bed is perfect for pups with a strong personality. A great alternative to pink or blue designs, this bed will also complement a modern decor thanks to its chic appearance. Comfortable and warm, our cove beds for dogs have plush cushions and they're easy to clean. 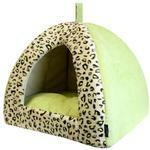 This item will suit smaller breeds perfectly and will help pooches feel safe and snug. Light and compact, this bed is easy to carry around and to store when not in use. Very impressed with the products I ordered, the quality, price and especially the speed of delivery. My order was confirmed with in hours and delivered within two days.